Hi friends, well I made it to Nashville! The network meetings begin this morning, and I am so excited to hear ideas to help improve my programs, get more participants, and just be an overall better advocate for youth development. Before I tell you about my first day here, I just want to thank those of you who congratulated me on my new position over the past few days. 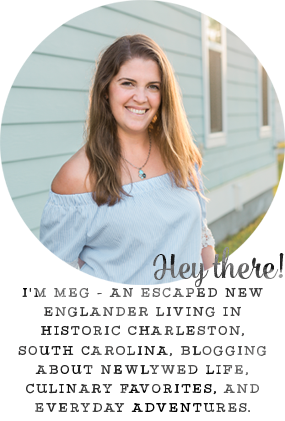 I love the support of the blogger network so much and even though (as you'll read further down) I started this blog purely for myself, almost as a time capsule of sorts, it's evolved into such amazing friendships. I apologize if this post looks a bit different than normal, I am attempting to use the iPads blogger app, and boy does it stink! Well, yesterday was pretty much just spent at the hotel. We arrived around noon, checked in, and ventured all around. This place is HUGE. 2,800 guest rooms, tons of gardens, pools, spas, restaurants, you name it! I don't think we need to leave for the full five days haha! If you want to get an idea of the magnitude, here is the website. Also, (since I can't really upload photos via the app) follow me on twitter (@megd_11) or Instagram (@megatronnn27) if you would like! Okay, back to The Corrs. The song is called "Summer Sunshine" and my favorite line is, "to sweet beginnings and bitter endings, in coffee city we borrowed heaven." And that's how I felt at the time I started this blog, I was so sad to see college end, but so happy to be moving in with Mike and starting this new chapter in my life! Here is a link to the only version of the song I could listen to on mobile, but you should find the original and listen to that, it's so much better! So there you have it! Oh, one last thing, you might notice my domain is actually "myborrowedheaven," well, simply "borrowedheaven" was taken but I still liked it better for the title. We stayed at a Gaylord resort in Maryland which was pretty huge... but I think Nashville has it beat! WOW! Congrats on your new job chica!! Sorry I'm late on that, but I've been a little behind on reading up on my blogs lately. Hope you're LOVING Nashville!! I'm so jealous! I'm so excited about your trip and making your program even more amazing! What an amazing place to be staying! Aww I love the reasoning behind your name! So sweet! to start, congrats on the new position! As for the name of your blog, I LOVE that it is from the lyric in that song by The Corrs. Yes, I'm a fan of theirs and not just of that hit. It's nice to relate to another blogger in an unexpected way.